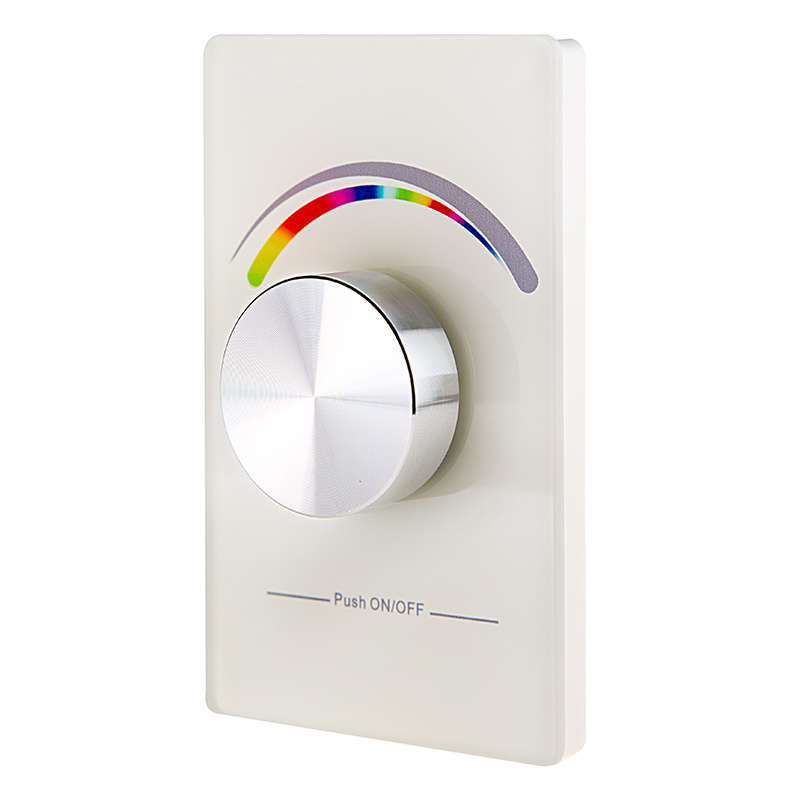 Wireless RGB LED Dimmer Switch for EZ Dimmer Controller: 360° View. 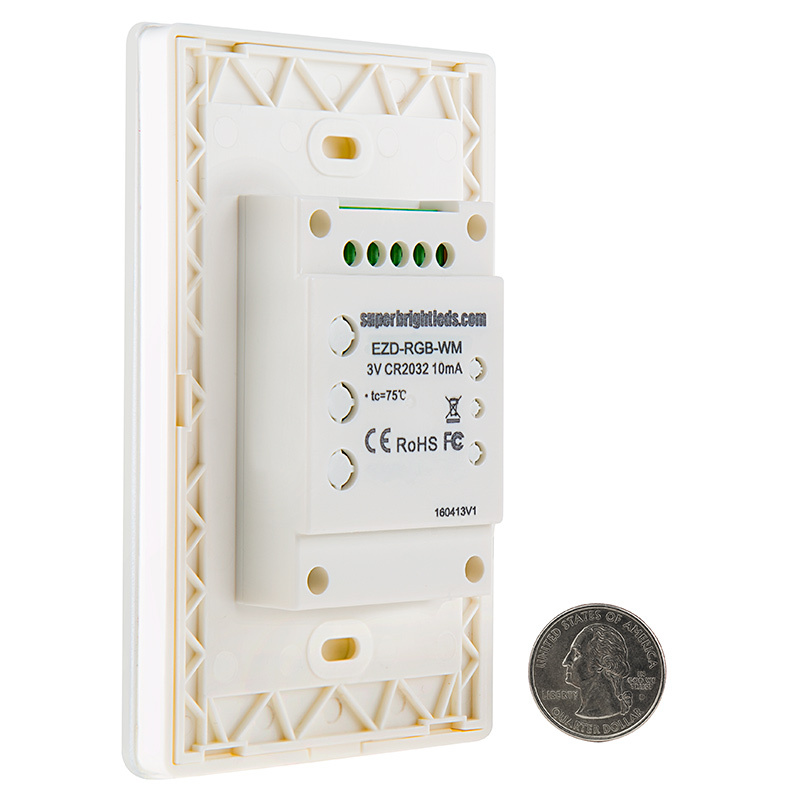 Designed for use with the Wireless LED 4-Channel EZ Dimmer Receiver, this wireless LED dimmer switch fits in standard wall switch boxes and provides on/off control as well as fixed levels of dimmability. 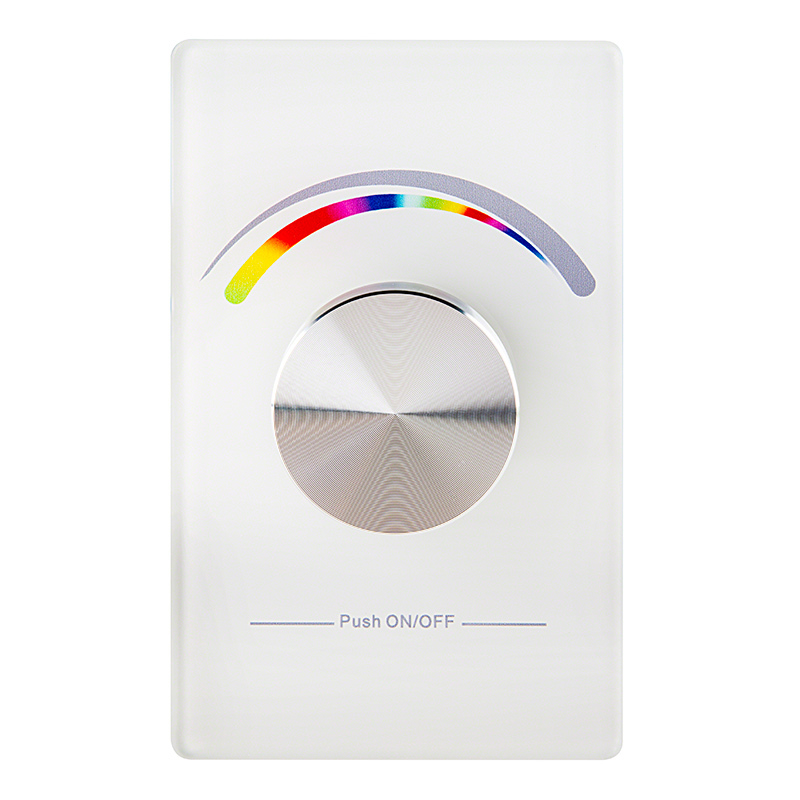 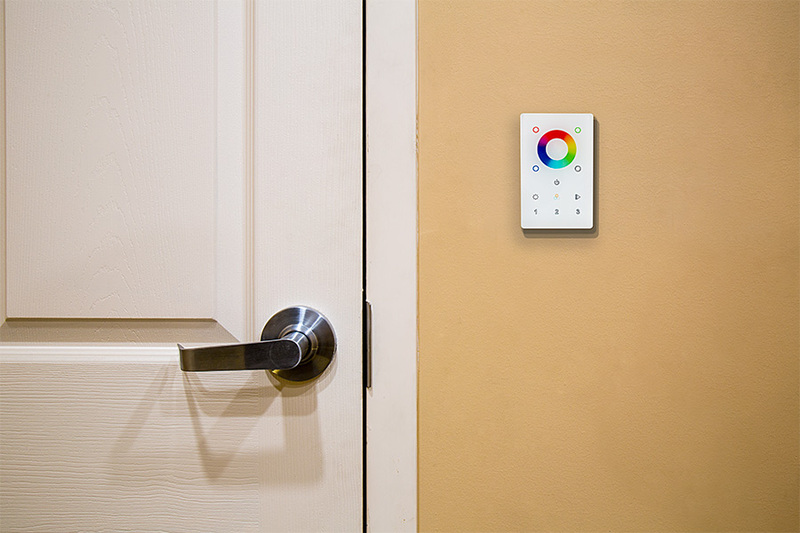 Double-clicking the knob switches between dimmer and RGB control. 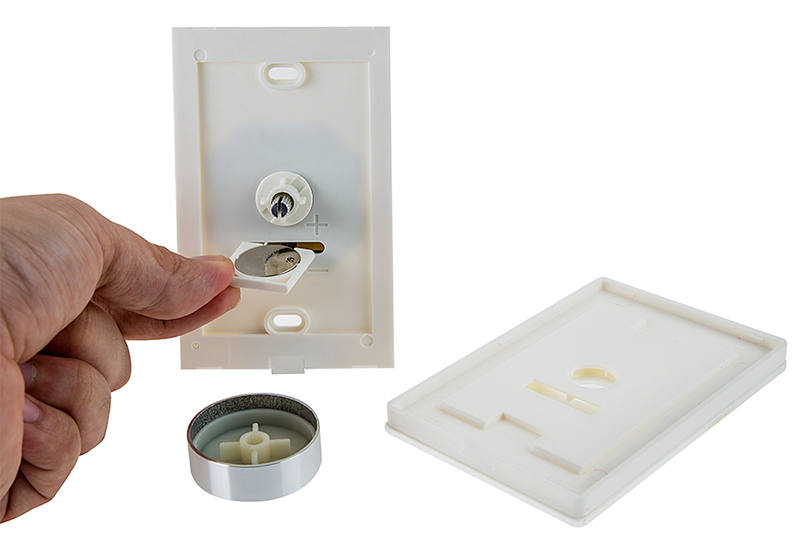 The dimmer knob transmits an RF signal to the wireless receiver from up to 300' away in open air. 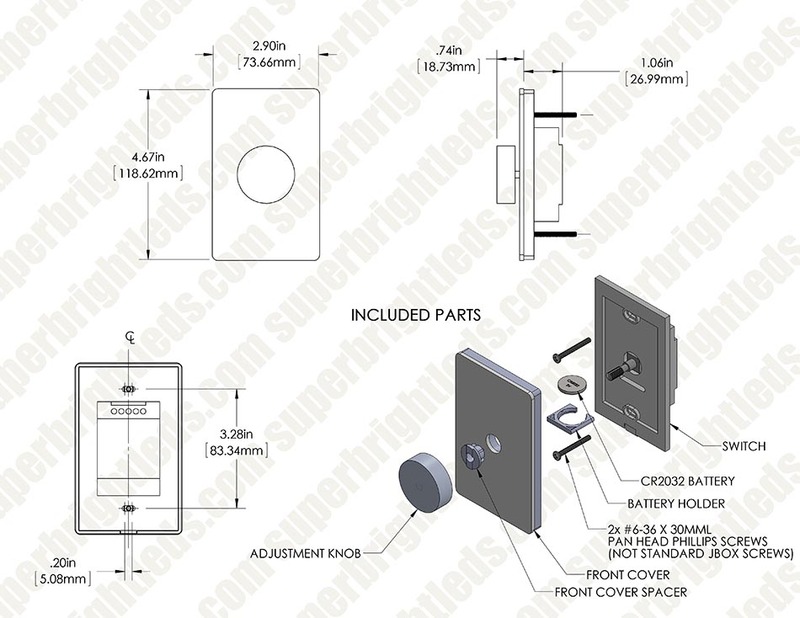 The wireless dimmer includes 2 mounting screws and a required 3V CR2032 battery installed. 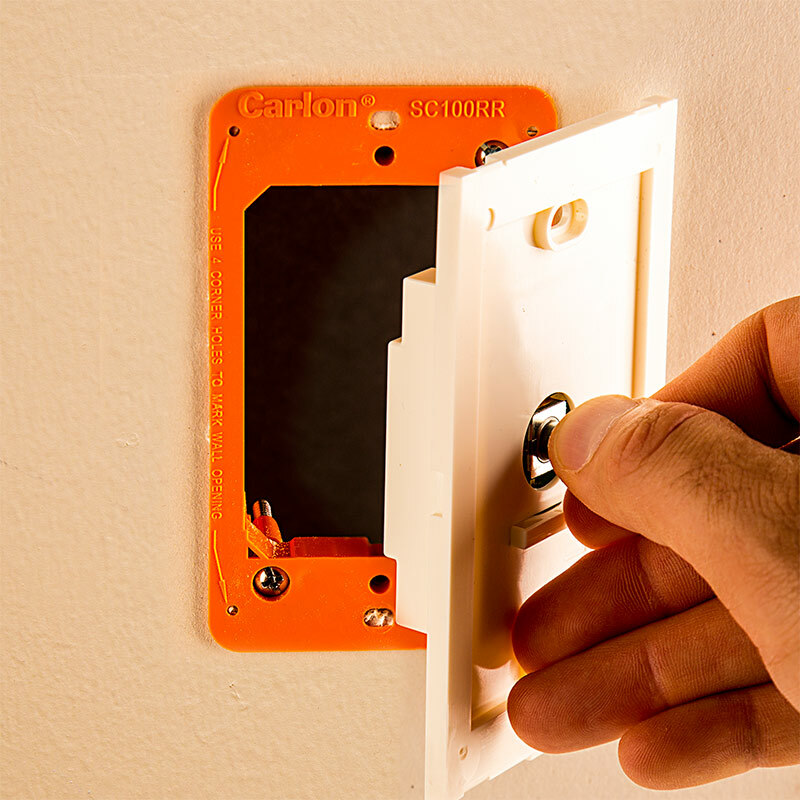 Single Press Turns light on/oﬀ. 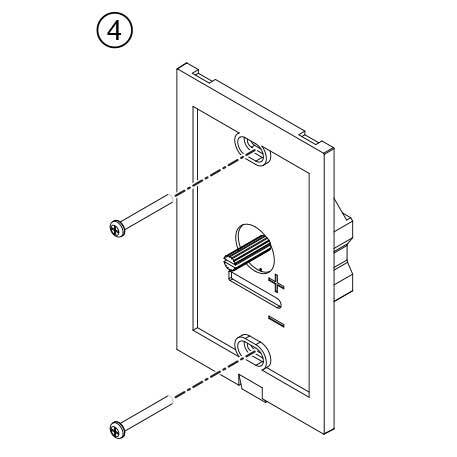 If the receiver learning key has been depressed, a single dial press on the wall panel switch links the switch to the receiver. 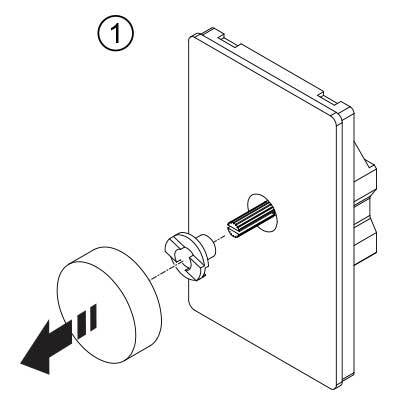 Double Press Increases or decreases brightness until you release, turning LED on will remember the last memory position. 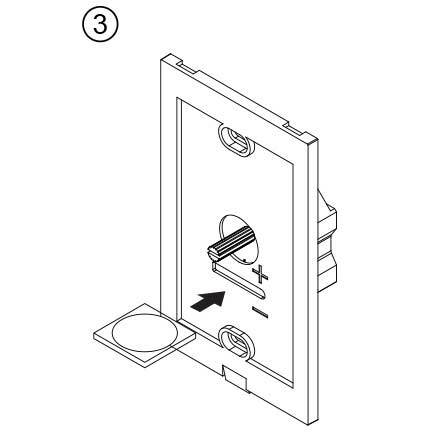 Left/Right Movement During color mode, scrolls through RGB light strip colors. 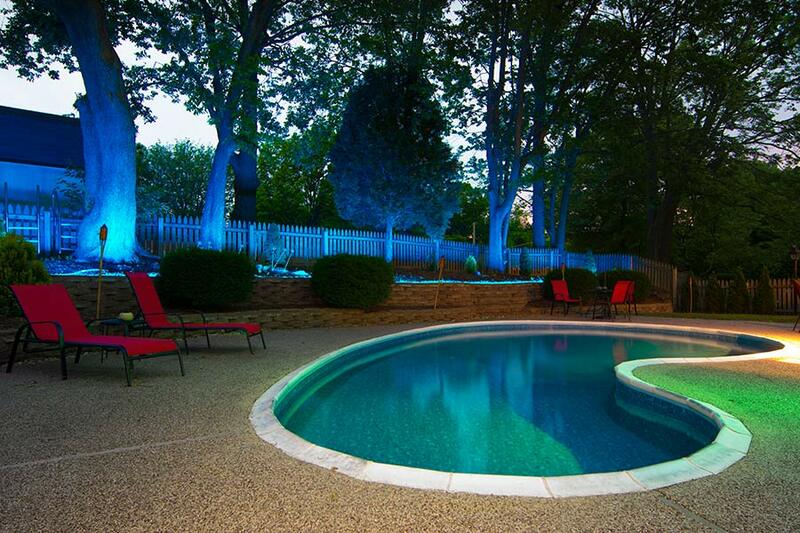 During dimming mode, controls LED brightness level. 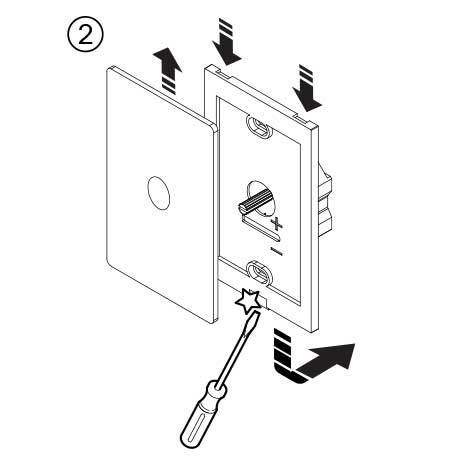 Hold Press Increases light to max brightness.